The college have great environment. The campuse was very good every were was greenery. They provide free exicutive lunch for the student for 2years. The college was good, best quality food free for 2 years, good and fast internet facility, the campus was good everywhere was greenery, big campus they provided everything best which is available. College will provide an executive lunch which is not includes fees and they providing for free. and WiFi facility and IES app for students easy. and negative is not more but here and their some failures in conducting the international trip every year. They will take a international trip is one of good remark and free executive lunch by management for all students.and we have a big librery of both national and international authors and digital library. Eis for students easy. subjects forum to bring new in particular department. Mqanagement stucture is Ok. Yet many things should be changed and made advanced. 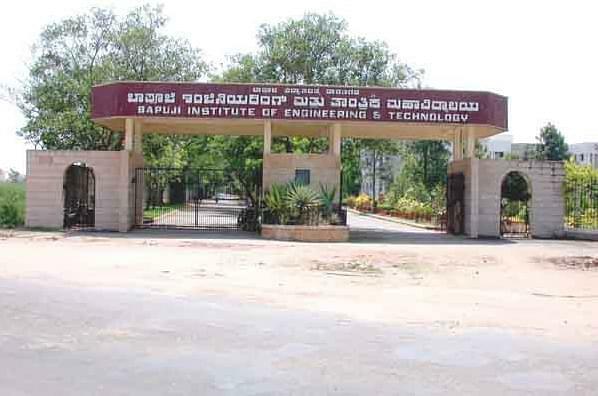 Bapuji institute of engineering and technology, davangere, was established in the year 1958 is one of the oldest and best technological institutes of the Karnataka. Bapuji institute of engineering and technology is for those students who wants to get the best education and also have desire to get success in their technological career and who wants to get the best technological skills in their lives. This college has been known best for its foals of attracting the students in the area of technological education. The vision of this college is to help the young minds to get excellence in their career.The Bapuji institute of engineering and technology provides excellence in education. It is approved by the AICTE that is all India council for technical education and is also approved by the government of Karnataka. 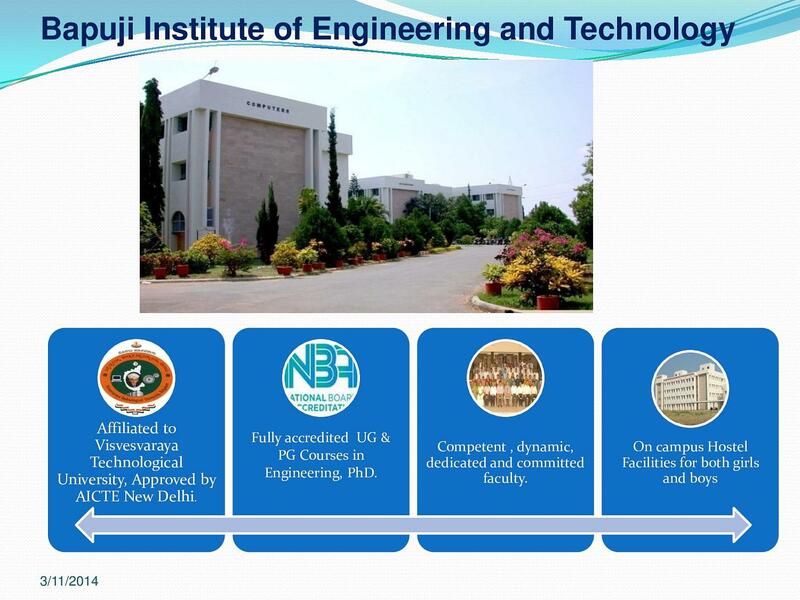 The Bapuji institute of engineering and technology is also accredited by NBA. 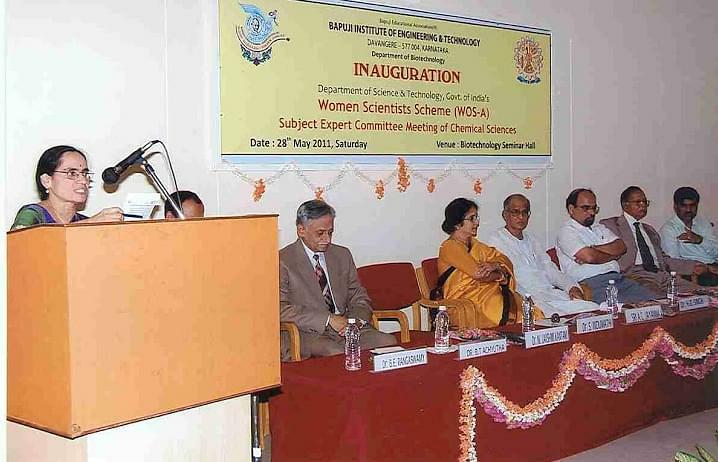 It provides the option of the course B.tech in mechanical, biotech, chemical, etc. 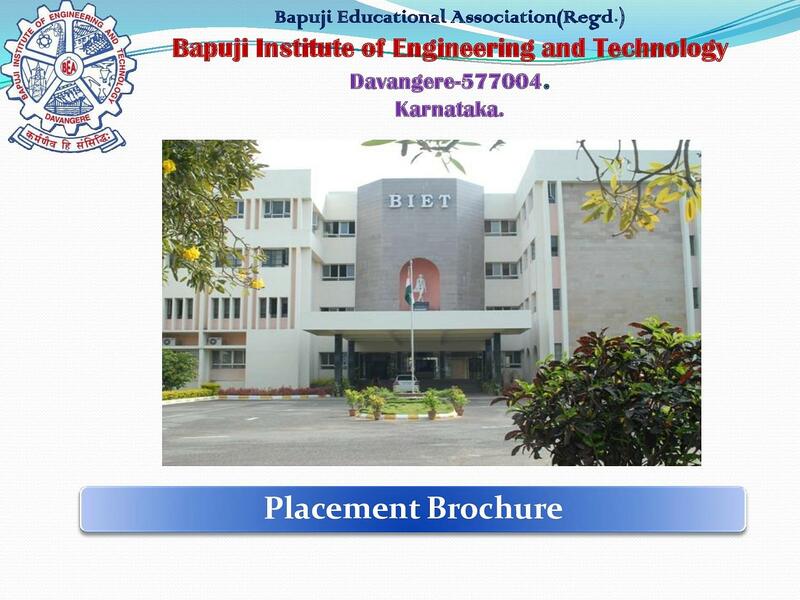 The students of this Bapuji institute of engineering and technology gets placement in big industries or companies. The college, Bapuji institute of engineering and technology also provides the facility of department library and information center, computer labs, hostel facility, sports stadium, auditorium that is open air and also indoor auditorium which is fully air conditioned and health club which includes the Gym and yoga center. For some studious students, Bapuji institute of engineering and technology facilitates the scholarship facility on the basis of scholarship test and also on the base of state entrance tests and All India entrance tests. World class infrastructure with big lecture halls, board rooms, fully air conditioned auditorium is there in the college as well as open aired auditorium is also there. Govt. 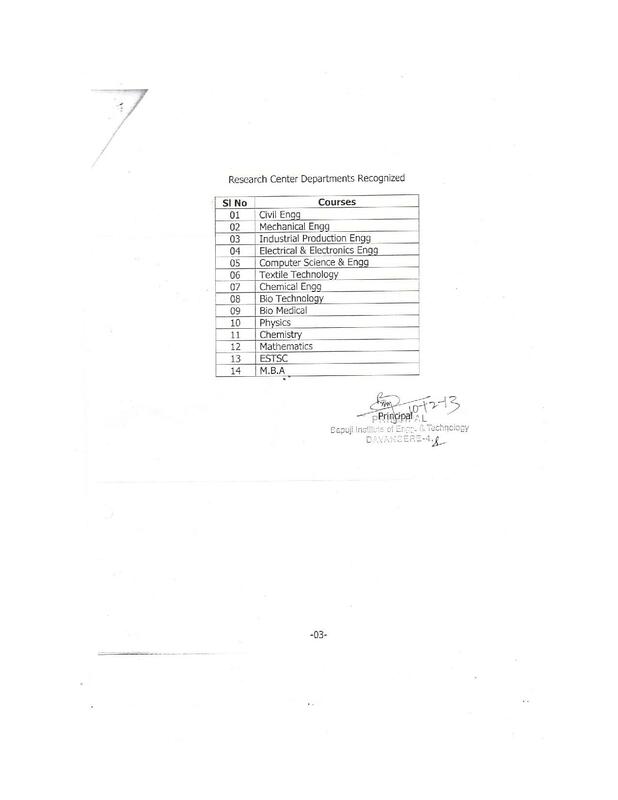 of India has recognized our institute as “Reputed Scientific Institute”. 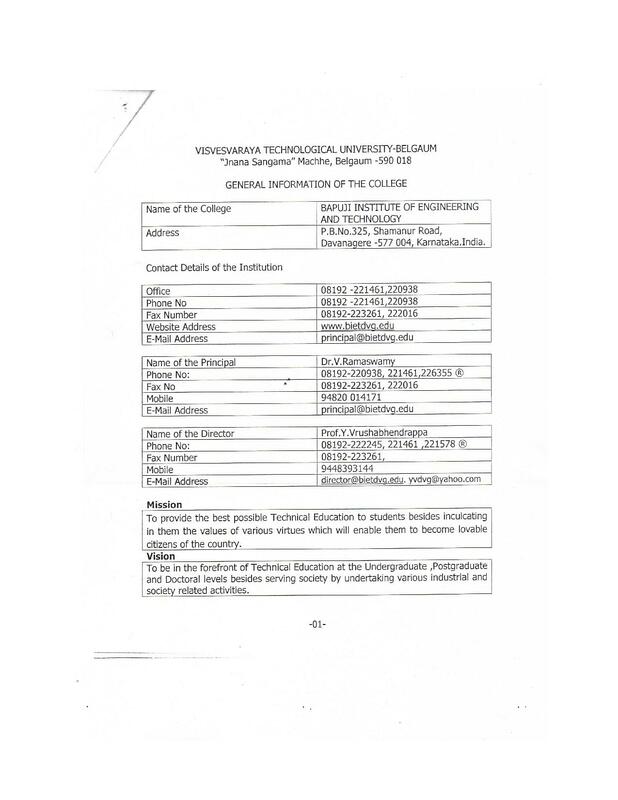 under country's prestigious EDUSAT programme to our institute. 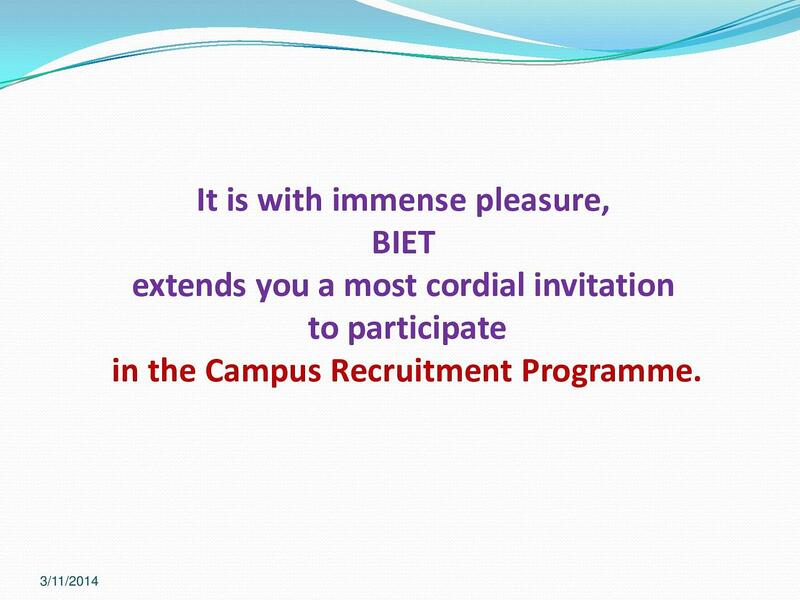 Infosys has appreciated BIET as “Advanced partner college” under Campus Connect Programme. IBM Excellency Award and Wipro mission 10X Programme. MOU with Oklahoma state university, U.S.A.
CPCB Recognitation for Environmental Lab. MOU with Swiss Development Corporation, India. Davangere District Administration, for third party Consultation and Testing. All Computer Systems in the campus are connected to Internet. I write KMAT exam and entered to the college. College only helped with the information about KMAT and filled my application, so supportive. There was an interview with the director for two question i.e why this course and why this College. 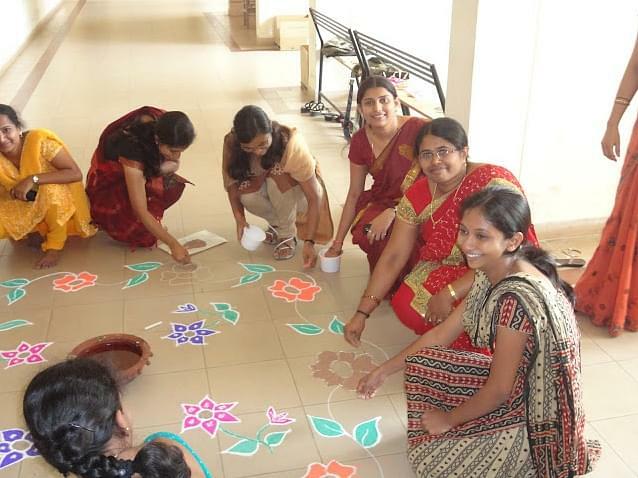 "My life's best bachelor time spent in the campus "
Common Entrance Test conducted by the Karnataka state government. Based on the ranking of cet and the 12th score. 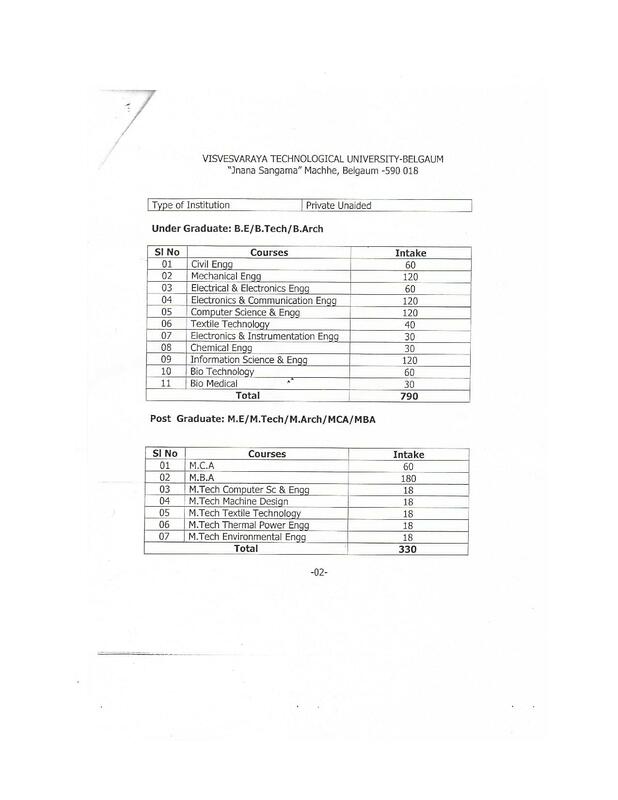 "Nice college and Good Environment"
State CET, 3365(state rank) One of our relative studied in this college and he is placed. So that's why I got into college.